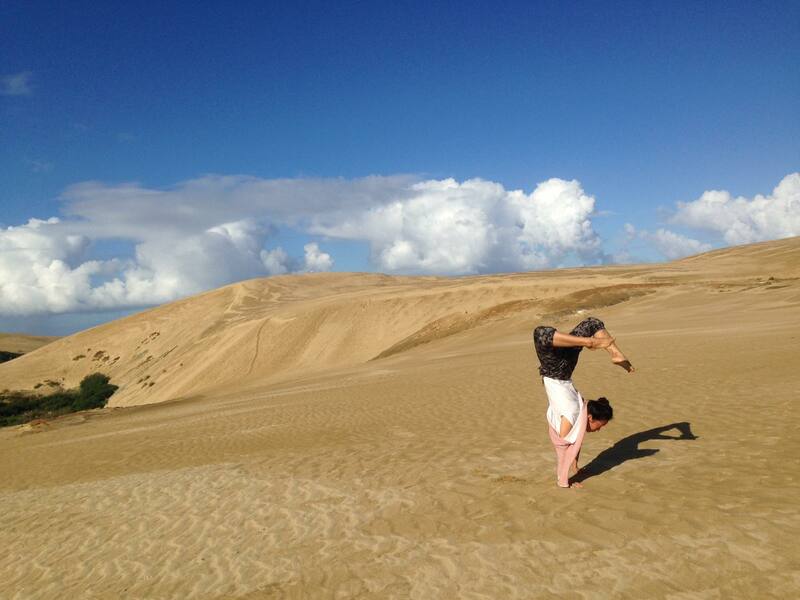 Yan is a former UK doctor and radiologist, now yoga teacher, retreat facilitator and Yoga teacher trainer. 11 years in the medical field have endowed her with a deep knowledge of the form and function of the human body. She left the medical practice five years ago in search of more holistic ways of existing, healing, sharing and affecting the lives of others. She has been practicing yoga, various martial and internal arts, self inquiry, mindfulness and meditation for over 16 years and currently lives, breathes and shares this wonderful holistic practice where ever she goes. She truly believes that Yoga, practiced in its totality is medicine for the mind body and soul. Yoga is medicine for the mind, body and soul…..
She has dedicated herself to a full yogic and nomadic life since 2014, living from a place of inner truth and freedom. Freedom is nurtured in a fully embodied flow of breath and movement; the gift of Vinyasa, a pure awareness in the free and creative action of life that can be practiced both on and off the mat. 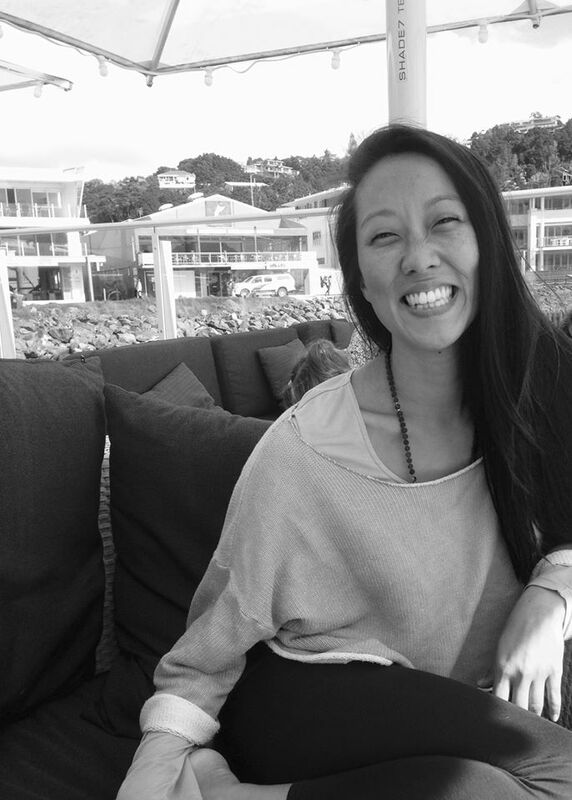 Yan integrates her practice and knowledge of Vinyasa, Ashtanga, Yin, Iyengar breathwork and meditation from beloved Masters around the world with a deep understanding of medicine, anatomy and physiology of the body, in all of her teaching and guidance. She has traveled and taught yoga at numerous retreat centers, studios, teacher training programs and immersions around the world, always imparting her message from the heart, that all is well. Yan teaches yoga to all abilities, all bodies, all minds, all hearts. My yogis from around the world! I love the energy and wisdom that Yan brings to each class. I was lucky enough to be in a teacher training with Yan and her A&P is second to none! However, the real beauty of her teaching lies in her gift of grace and wisdom as she weaves the sacred art of yoga into all that she does. Her knowledge of asana and yogic principles is profound and she teaches with integrity and humility. Having practiced yoga for almost twenty years I found new and deeper understanding through Yan in all of the poses that she shared with us. I hope for the day that I can share some sacred space with Yan again, and urge you if you feel drawn to, to do the same – your heart will thank you for it. Namaste. Yan is an excellent yoga instructor and person who fully embodies the yogic lifestyle with a deep passion as a practitioner herself. She has a deep understanding of all the different aspects of yoga and can lead asana classes that go from soft heart-openning yin classes to the most demanding vinyasa classes, all with a tender style and care for the student. Practiced under her guidance during several months at Kawai Purapura retreat centre in New Zealand where I experienced a most amazing progress in my own practice and understanding of yoga. Om Tat Sat. Yan has dedicated her life to yoga and her own spiritual development and this wisdom flows through into her teaching. Yan is always present and attuned to the needs of students as she teaches. She is very knowledgeable in all aspects of yoga and her passion is inspiring. Yan’s classes have left me feeling more relaxed, balanced and connected to myself, whether it is a gentle restorative class or a more challenging vinyasa. Yan exudes gentleness, warmth and kindness. She is incredibly supportive and encouraging. I feel privileged to have met such a beautiful human being. About Yan As I am writing this note on the way back from trip to South coast of Asia, I should underline how grateful I am to Yan and how I appreciate her effort on me. I realized some time after our first session that she came into my life just on perfect time and helped me to make some changes…. (Just like an angel <3 ) While having 10 yoga sessions with Yan, I have also learned a lot about meditation and began to look at things differently. These sessions were not just yoga practices as I had Yoga and Pilates practices in the past. Therefore we worked on breath techniques and meditation as well as some talks on philosophy of yoga and meditation. That is how; I started to believe again that there is life that I should keep holding on; remembered to gratitude all those goods and positives that I still have in my life and around; realized that I am still breathing and I should find the light within myself and find a way to be positive person again; became aware of that how important is to find the motivation to get things started, keep some discipline or simply believe to get things going on and more… Yan is flexible as well as going on hard on you when it’s is necessary. She is very understanding and motivating with good and calm vibe. She is also friendly and genuine. I have noticed that Yan is able to catch your level and help you through from that point to get better and higher. She helps you to find the best practice for you and encourages you to find your needs on yoga or more. I believe that I have been lucky meeting and practicing with her. Thanks a lot ! I met Yan through Facebook, back in June 2016. I reacted to an advert she posted about yoga lessons. I used to be a sportive person but due to my studies and job I had to discontinue my trainings, so developed some back aches and lost a lot of my flexibility. It was not the first contact for me with yoga but I thought I would benefit from learning it properly, and so I did! Yan is a really sweet and welcoming person. It made me feel like we had known each other for longer time. Her explanations came natural, and she was able to make me understand every single step during the learning journey. Every session was personalized and adapted to my situation and body condition. She helped me to reach a better version of myself not only physically through yoga, but also mentally through meditation. It was a pity to know she was moving out from Malta, but pursuing goals is great. Yan, I wish you the very best! Always completely present and tuned into the needs of her students, Yan imparts expert knowledge of anatomy, encouraging alignment adjustments and inspiring philosophical themes all beautifully woven into each and every one of her yoga and meditation classes. She’s definitely going to be missed here in Malta! I have been attending Yan’s classes in Malta for about a year, both Vinyasa flow and the more stretching oriented Yin. In every occasion, she exudes a deep sense of calmness, her soft voice (and sometimes her delicate touch) bringing you to a mindful state of concentration on your body, your breath, your moves and poses. She has a distinguished ability to make you feel at ease, no matter what your level is. You are never forced beyond your limits, but when the class finishes, you feel like you did the best you could for your body and mind. A truly restoring experience also for those who train heavily like I do. I met Yan at Freemyme Malta. I was immediately impressed with her vast knowledge of human anatomy, her calm and her serenity. In her yoga classes, I learned that there is more to the body than just a physical motion. She taught me to listen to my body, become aware of its subtle promptings and messages. She taught me how to trust, let go, be patient, surrender and lean in to what is happening within. Yan is one if the most accomplished and through yoga teachers I have had an opportunity to meet. She is an inspiration as a teacher, and academic and a person. Yan taught my 8 year old daughter and myself private yoga classes in our home for a few weeks. We both found Yan to be very warm, knowledgeable and passionate about yoga and the benefits of yoga. I liked that Yan was able to adapt the classes to what my daughter and I needed and was very approachable and authentic. Yan has a calm and centred approach to teaching. During her classes, I feel like I’m healing and strengthening my body, and also my mind and soul. Yan’s classes really convey the message that yoga is a holistic practice. She does this by guiding her students’ into a present state of being through breath-work and meditation. Her classes encourage mindful movement. She provides a safe, accepting space for her students to practice. She challenges with love and acceptance of where each student is on their yoga journey. With her guidance, I have managed to be in yoga poses that I never thought my body could achieve. It has helped me to shift my sense of self, incorporating a belief that my body is strong and flexible. I have also been able to use yoga to get in touch with myself, to boost my mood, and to process emotions. I now love yoga and it has become an important part of my life. As someone new and curious to yoga, I decided to take private lessons with Yan. She introduced me to various forms: Vinyasa, Ashtanga, Yin Yoga, and different kinds of restorative and meditative techniques. Every session offered something new, something to take home for my own practice. Yan is eager to share her knowledge and experience. She is a very patient teacher, and her kindness and warm energy put you at ease right away. She succeeds in creating the right setting for practice, relaxation, and concentration. In short, I am very grateful for having been a student of hers. I first met Yan after hearing about her special 10-class offer for a course promising to teach “everything you need to know about yoga.” While the course was more specifically aimed at budding yogis, I came to Yan as an instructor looking to diversify my practice, learn from a wiser yogi than myself, and be pushed under the eye of a personal instructor. Yan provided exactly what I was looking for! I appreciated the fact that Yan listened to what I wanted but encouraged me to explore different versions of poses and practices. Being as insightful on asanas as yoga history, I loved that Yan was willing to chat with me about yoga after our sessions. Her loving presence and grounded nature made me feel immediately at-ease every time we met. When I left her classes, I felt like a warm ooze spreading back into the world! Over the time I have practiced yin yoga with Yan I have come to understand my body and mind better. She have not only taught me to become more flexible, but also more confident in finding which situations in my daily life causes stress and manage to handle them before they become overwhelming. The lessons are carefully planned to bring your awareness to the present and enable the body for the best conditions of reaching the deeper tissues and mental gratification. Yan gently guides her students through the most intense sequences “breath slow, breath deep, be aware…” which makes you withstand even the most intense pose. After each occasion I always leave the studio with a nice yoga high, open heart and a big smile. Thank you Yan! I had the pleasure of practising yoga with Yan in Malta. She brings beautiful calming and positive energies. Her classes always helped me to be more mindful of the postures ensuring that I get the right adjustments and get as deep in to the posture as I’m comfortable with. She is a naturally gifted teacher who nicely balances and explains the physical and spiritual benefits of yoga. Classes were always balanced between flow work, balance, and floor postures in the right amounts. I met Yan just before her first yoga teacher training in Malta. At that time she had already travelled intensely and practiced with many different teachers all over the world. I admire Yan’s courage to follow her heart and am inspired by her story and by her devotion to her practice. 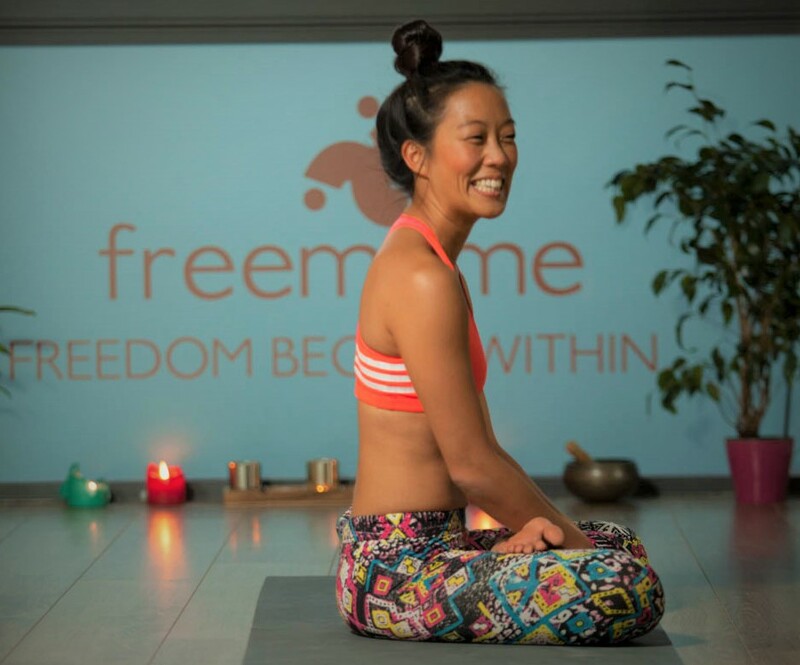 The first classes Yan taught were Yin yoga classes, which matched her calm nature perfectly. Yan’s instructions in those classes really helped me recognize and focus more on the meditative elements in yoga. However, short after Yan started teaching more dynamic classes, too and also become my Ashtanga buddy. I very much enjoyed practising with her and discussing our experiences on and off the mat. Yan is a true Yogi and sees yoga as a way of living. She practises yoga not only in form of asanas but also in relationships, in her diet and in all daily happenings. Yan is a sweet, inspiring and fantastic person. As simple as that. With her yoga classes she has been helping to improve my posture. Back pain relief was a great consequence of the time spent with her. She takes a lot of pride and calm determination in investing her time to show you asanas and postures, knowing that for you it will be easy to look at but much harder to replicate and connect your body so that you can stimulate, stretch and relax according to what the position needs. To be a good yoga teacher you need to create connection with your crowd. Visual and spiritual. And Yan is great at doing so. Every Tuesday our Company organized an hour of Yoga with Yan and I can assure you that everybody, none excluded, felt much better after spending time with Yan and her yoga leadership. Yan is awesome! Yan is an inspiring individual. Her passion for yoga both on and off the mat is exemplary. As an instructor, she instills empowerment by offering guidance to unify the mind, body and spirit. She instills calm, yet challenges you to push your limits. She gives all of herself in everything that she does and despite her quiet demeanor she leaves a lasting impression on anyone she comes into contact with. Yan is softly spoken, instantly approachable and full of warm and calming energy. Determined and focused, she is not easily discouraged and brings her absolute 100% to her practice, which reflects her dedication to teaching and sharing of her experiences. In Yan, you will find a deep sense of peace and contagious calmness. Yan's retreat was one of the best decisions that I have made in my life. The yoga, meditation and the gentle supportive energy at the retreat and from Yan not only deepened my practice, but more importantly, led to a profound shift that transformed me from within. This transformation must have been visible, because shortly after I returned home from the retreat, my best friend and partner were asking me how can they join the next retreat! Thank you, Yan.